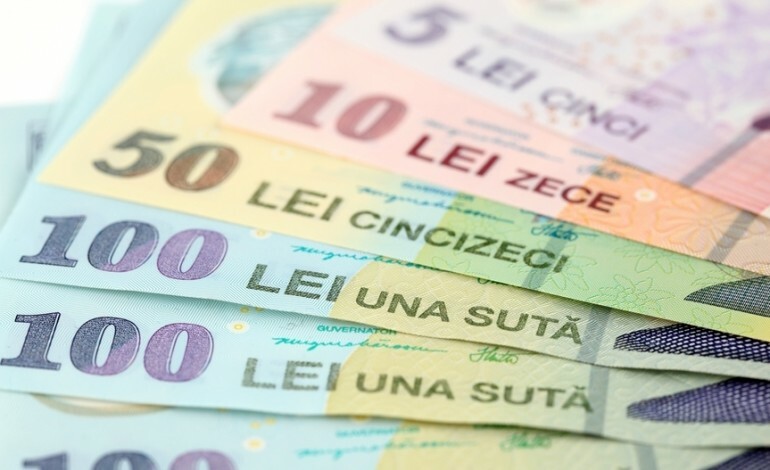 Send Money to Romania: What Are The Cheapest Options? How do you choose money transfer services when you have to send money abroad? Upfront charges, exchange rates and the time for the completion of the transfer are the most important features to consider when you make your choice. It’s easier to send money to the United States or Australia. But how about sending money from Romania from the US, Australia or Canada? Finding the best conditions and the lowest fees will require time and a lot of research. At Time Doctor, we’ve created tables for the most popular money transfer services with their stated fees and hidden conversion costs. These tables reveal less expensive ways to send money to Romania in comparison to the traditional international bank transfer. Table 2: Sending Money to Romania from Different Countries. The TOTAL Cost in Percentages including the HIDDEN currency exchange fees. I would prefer TransferGo. It's cheaper, than in the bank. And safe, as the bank transfer.TransferGo charges a fixed transfer fee, depending on the country your deposit is made from, and 1% to 1.5% for the currency conversion, per transaction.Transfer fees from:UK - 0.99 GBP,Eurozone - 0.99 EUR,Poland - 9.00 PLN,Norway - 20.00 NOK,Denmark - 20.00 DKK,Hungary - 500.00 HUF,Sweden - 10.00 SEK,Romania - 9.00 RON. you missed one more website in your review:transfercorp.co.ukit's cheaper than all the rest on your list. Hi,You have to give additional information, i.e. stated fees, hidden currency conversion cost, total cost and the time for the transfer to arrive. The another way to send money across Europe: TransferGoif you’re sending money from the UK to any European country you pay only 99p transaction fee. Moreover, all transfers from the Eurozone cost only €0.99 transaction fee. It’s really that simple and transparent.When sending money within Europe from Poland you pay 9 PLN, from Norway it’s 20.00 NOK, from Denmark it’s 20.00 DKK, from Sweden it’s 10.00 SEK, from Hungary it’s 500.00 HUF and from Romania it’s 9.00 RON. Update:I forgot to mention that paypal has a 3.4% comission for goods and services payment.- Moneybookers (Skrill), comision 7 lei at transfer plus 18 lei at receiving money at BT(banca Transilvania) which is about 6.5$- Ria Envia -> you receive the money at the CEC bank in 15 -30 minutes Rates for the sender of the money(not the receiver): 100eur =4,90 eur; 200= 11 eur; 300=11eur; 400=13eur; 500=13eur; 600 – 700 =19eur; 800 -1000 = 26eur. It is an expensive option relative to paypal or skrill.-Moneygramm is expensive. After getting 100 euros from Germany for example you pay 8 euros for withdrawing it.Sorry for mentioning euro, I had no other reference.So I believe paypal and skrill is the cheapest. Thanks for all of the information, I think it's similar to the information in the article however PayPal and Skrill are definitely not the cheapest option. Check out the cheaper options in the article. Great article. I'm from Romania and I knew till know only 3 options: - wire transfer which is really expensive and from my perspective it does not worth the effort and depends of the bank where you are customer if it is included in their services - western union is fast but it is always expensive. The BT bank here in Romania has special offers, I think you can get money directly to your bank account, manage it via home banking services - the other form of transfer is via paypal , which I did not see in the list. It has a 500$ limit each day for each transaction so 1000$ can be transfered only in 2 days and for verified customers it takes only 2 and half a day for the money to get here with a cost of 2.5$ each transaction - skrill is just like paypal, but I'm not sure if it is supported here in Romania for transfering the money to your credit cardFor the rest, thank you, I will have to check it, never heard about them. Did you calculate the hidden fees when transferring using PayPal? I will be adding PayPal to the article. The charge a 2.5% currency conversion fee so it's definitely NOT the cheapest. PayPal charge a currency conversion fee of 2.5%. I will be adding them to the article. Payoneer are difficult to calculate the fee, but we will try and get an accurate calculation of the currency conversion and add them also. The best way to transfer money from abroad is via direct transfer to your bank account. The only hidden fee is the currency exchange and maibe a very small fee for your website where you was hired. The HIDDEN currency conversion fee is NOT small. It's not the cheapest method to use your bank account because this fee can be 2% or more.